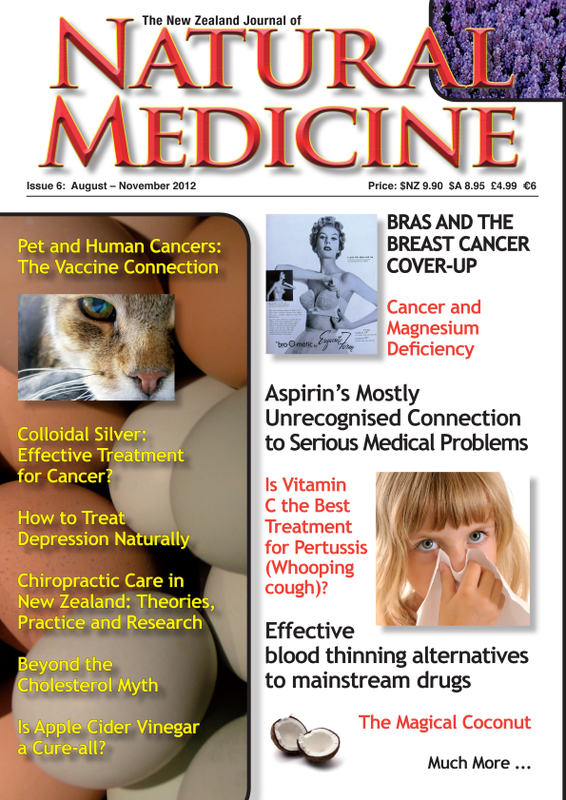 While NZ is currently experiencing an increase in whooping cough cases, with concomitant pressure for parents to vaccinate their children, even though 74% of whooping cough patients have already been vaccinated, the new issue of The New Zealand Journal of Natural Medicine asks the question, is vitamin C the best treatment for this disease? 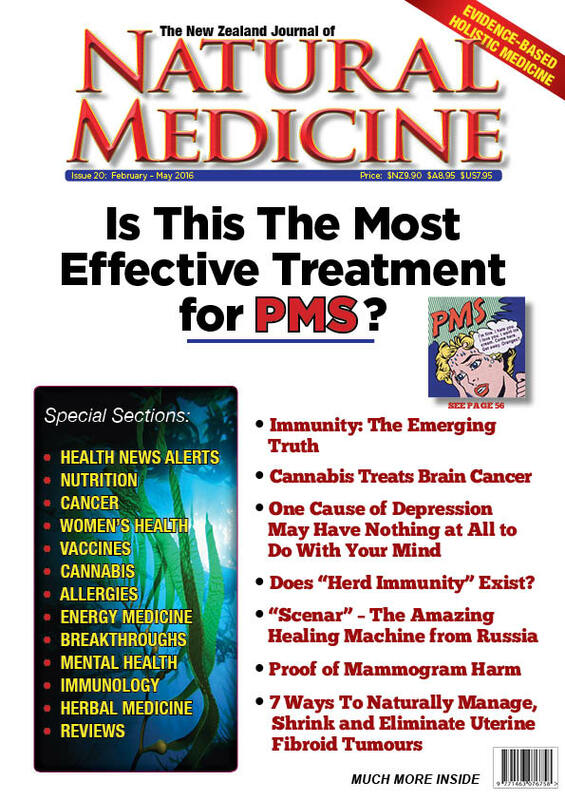 With an increased media focus on breast cancer, this issue features an article by medical anthropologist Dr Sidney Singer, who presents the hypothesis that breast cancer is largely a culturogenic disease – and that tight bras that constrict the lymphatics and trap toxins in breast tissue help to cause the disease. Also on the subject of breast cancer, editor Katherine Smith reviews the book Better Breast Health for Life – which gives women practical advice about how to reduce the risks of developing breast cancer. 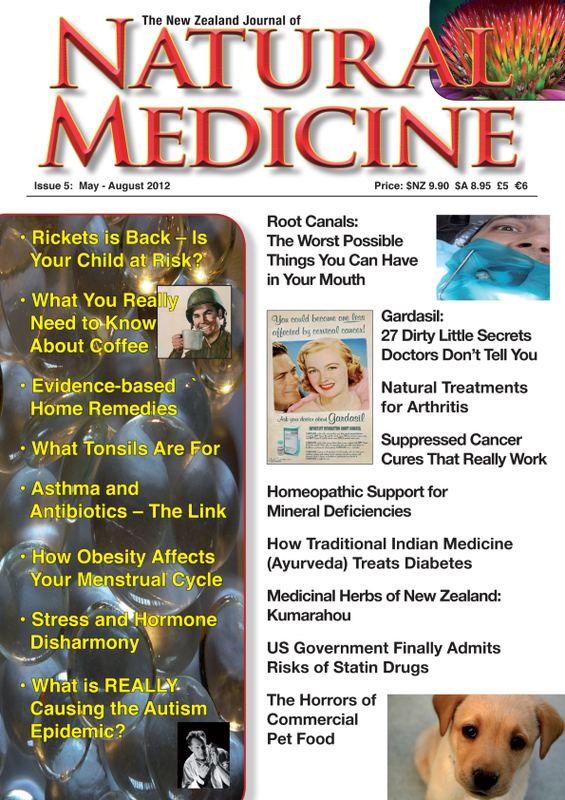 This issue also features an major article by Dr Lawrence Wilson about the wholistic treatment of depression, while the Directors of Research of the NZ College of Chiropractic discuss their recent research into using chiropractic medicine to treat accident victims. 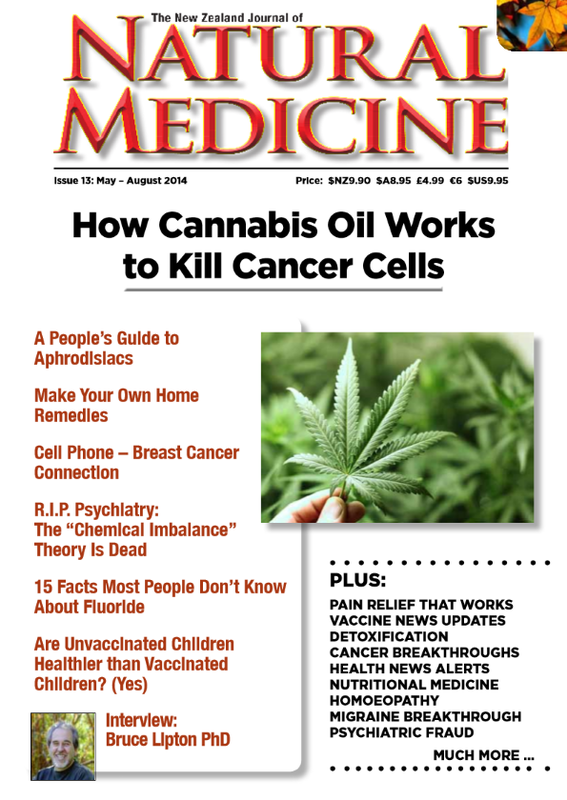 Other major articles include a review of some of the evidence that colloidal silver may be a useful treatment for cancer, while Angela Frieswyk discusses the importance of homocystiene on cardiovascular disease, and renowned herbalist Malcolm Harker discusses his successful approach to treating eczema. The journal also welcomes a new contributors Dr Michelle McCulley who has writes about the new science of nutrigenomics which investigates how nutrition affects gene function; Tina Krombach has written a major article on the health benefits of fasting. Contributing editor Lady Carla Davis weighs in on the coffee debate. Highly instructive, fascinating and helpful articles, all. In our Reviews section, guest writer Sue Edmonds reviews Tineke Verkade’s Homeopathy at Home, while Katherine Smith reviews the book Investigate Before You Vaccinate by Susan Claridge – a wonderful book written to help parents make an informed decision about vaccinations.